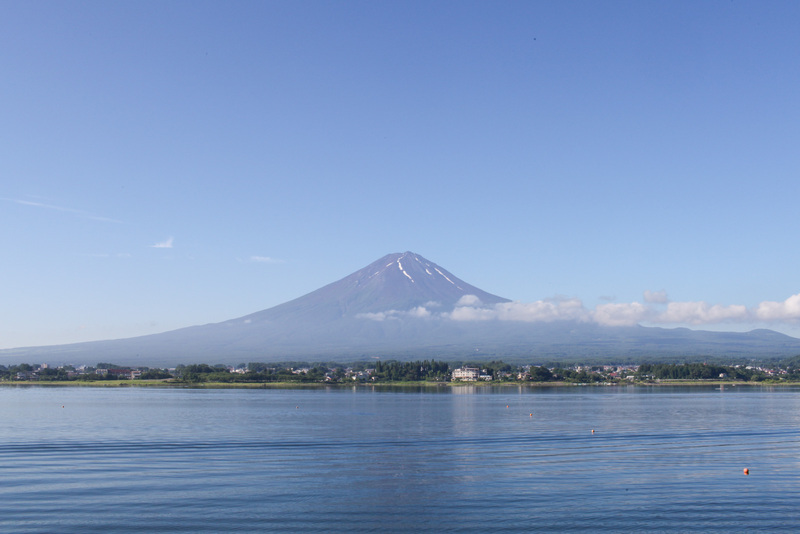 The perfectly formed Mount Fuji is Japan’s highest peak and a stunning sight to behold. It has a reputation for hiding behind a blanket of clouds, so my advice would be to wake up at the crack of dawn as you’re more likely to have a clear view in the early hours of the morning. This is by far my favourite view of Mount Fuji. 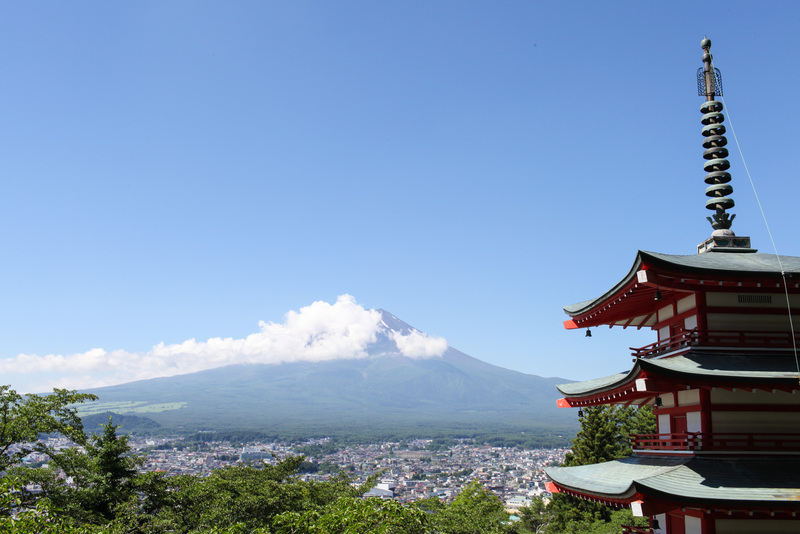 At the top of the 400 steps, you’ll be greeted with a stunning view of a five-storied Japanese pagoda and Mount Fuji in the distance. It looks particularly spectacular during Hanami as cherry blossom flowers frame the bright red pagoda. 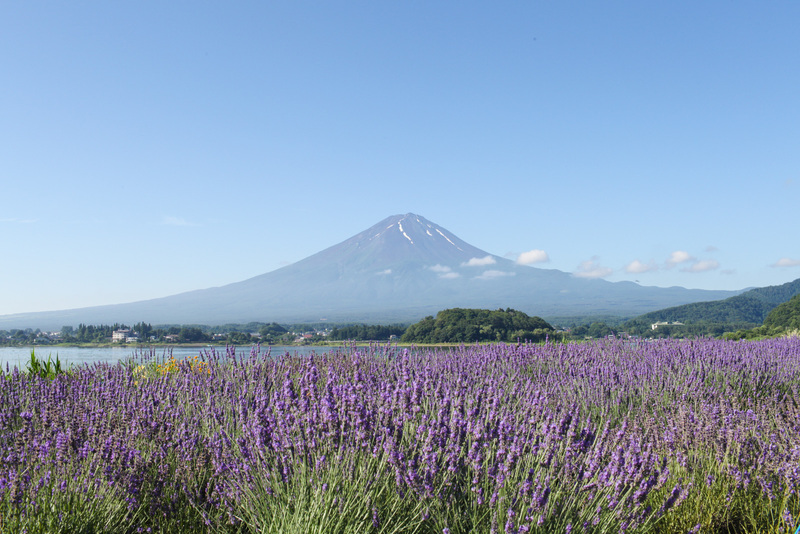 The view of Mount Fuji from this park is spectacular due to the flower fields that change with the seasons. Tulips bloom in April, a pink carpet of moss phlox spreads vividly in early May and a sea of purple lavender blossoms in June. 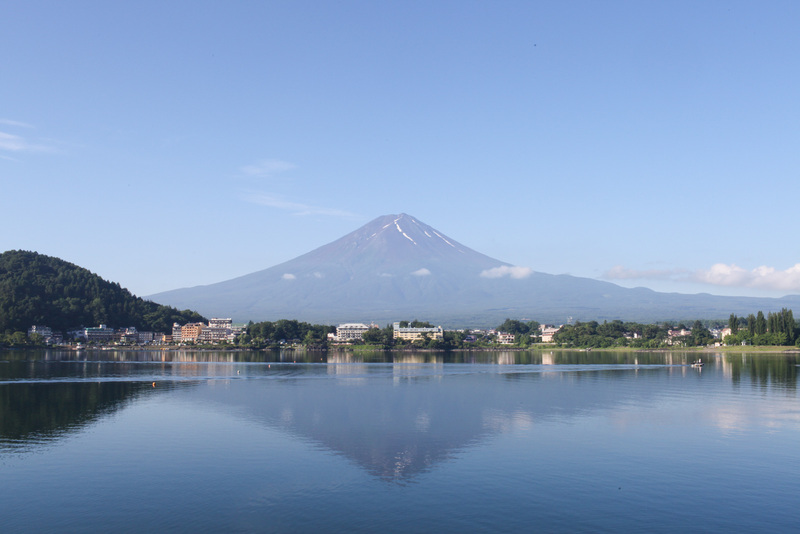 If you’re lucky and you time your visit just right, you’ll be blessed with the iconic Mount Fuji reflection on the lake. This view of the ‘Double Diamond Fuji’ is a rare sight and one which every photographer dreams of. You can either catch the cable car or take the hiking trail through the forest and hydrangea park to reach the top of Mount Tenjo. 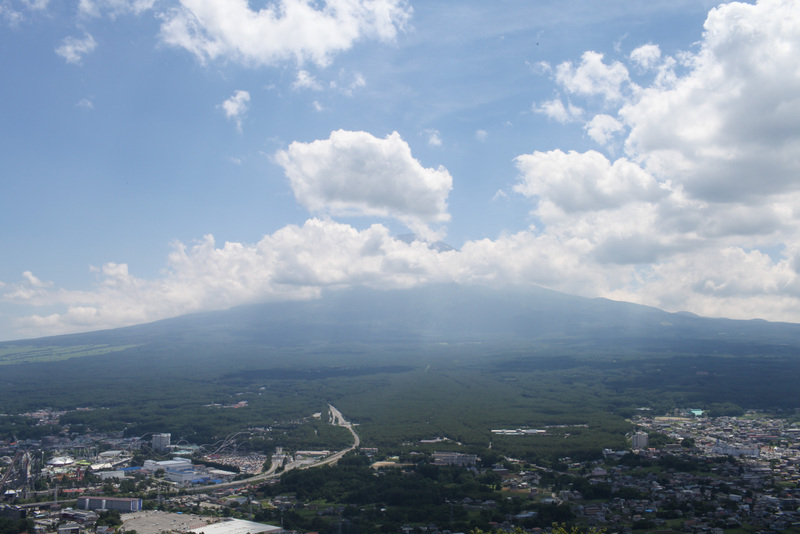 No matter which route you take, once at the top you’ll get a beautiful view of Lake Kawaguchiko and Mount Fuji. For a clear, unobstructed view of Mount Fuji at eye level, head to this park on the shores of Lake Kawaguchiko.